56% of babies cry because they’re tired. 34% cry because they’re hungry. 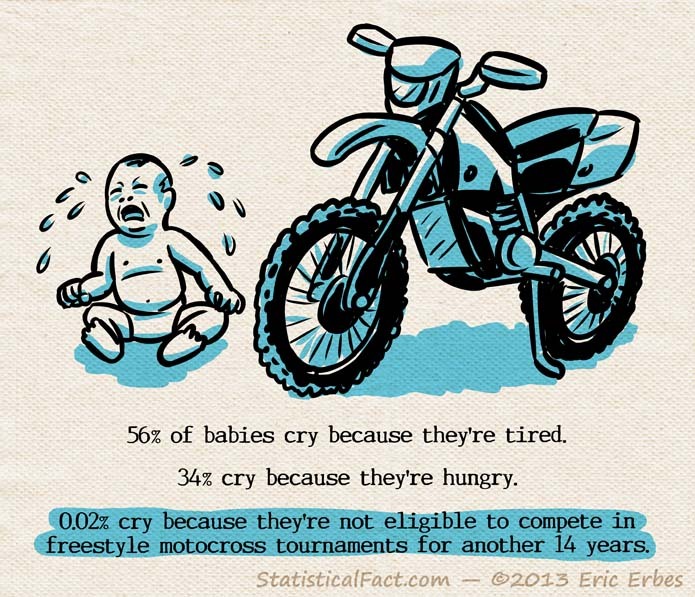 0.02% cry because they’re not eligible to compete in freestyle motocross tournaments for another 14 years.